On September 1, 1987, Wes Ball, Don Hase and Scott Wisch left their positions as prosecutors in the Tarrant County District Attorney's Office and opened the law firm of Ball, Hase & Wisch at 4025 Woodland Park Boulevard in Arlington, Texas. All three had been senior prosecutors in the DA's office at the time they opened the law firm. The name of the firm remained Ball, Hase & Wisch until January 1, 1995 when Scott Wisch was sworn in as a District Judge in Tarrant County. 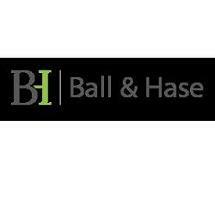 At that time, the name of the firm was changed to Ball & Hase. Wes Ball and Don Hase have been in the private practice of Criminal Law since September 1, 1987. The firm's practice is limited exclusively to Criminal Law . Wes Ball and Don Hase are both past Presidents of the Tarrant County Criminal Defense Lawyers Association and remain active in that organization today. They are also both member of the Texas Criminal Defense Lawyers Association. They are licensed to practice law by the Texas Supreme Court; and are both admitted to the United States Supreme Court, the 5th Circuit Court of Appeals and the Northern District of Texas (federal) Court. They are both board certified specialists in criminal law by the Texas Board of Legal Specialization. Wes Ball & Don Hase have been licensed to practice law since the early 1980s, and have practiced exclusively criminal law since that time.